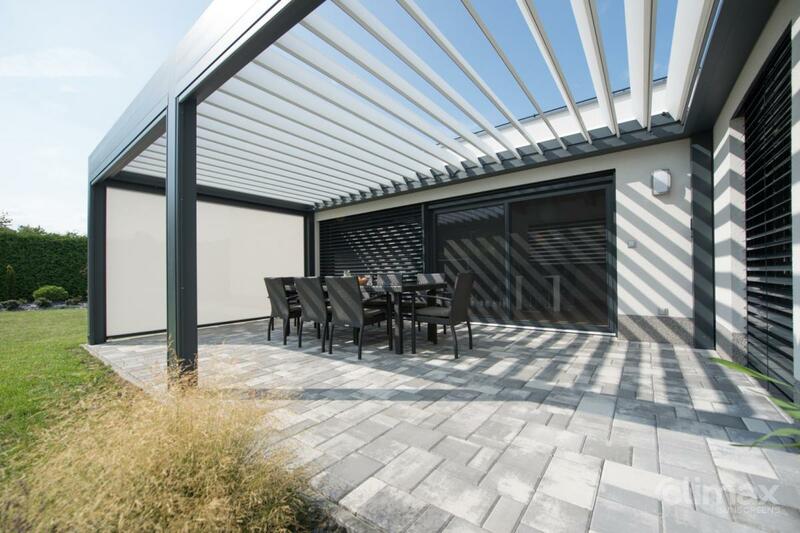 Pergolas, conservatory shading - ESPACIO - SERVIS CLIMAX, a.s.
For those who require the best in the market, either in terms of function or design, the ESPACIO pergola is the ideal solution. 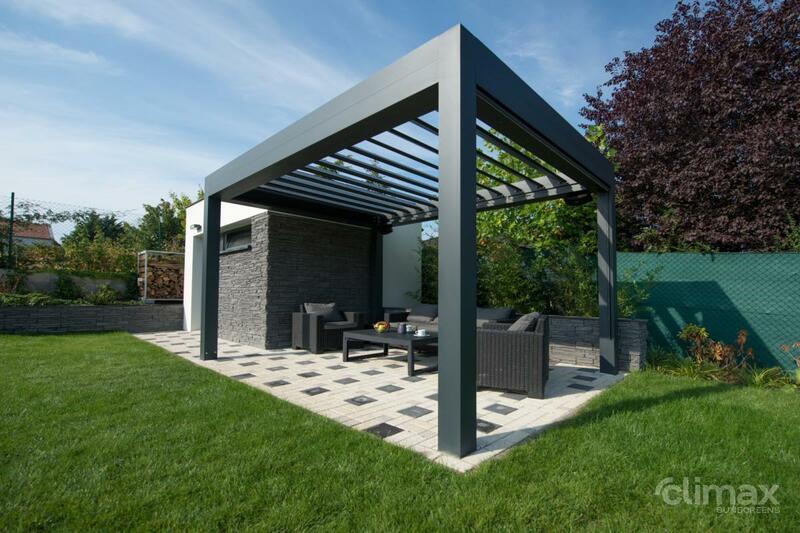 This type of pergola is suitable for terraces, atriums, verandas, restaurants or as a free standing garden. 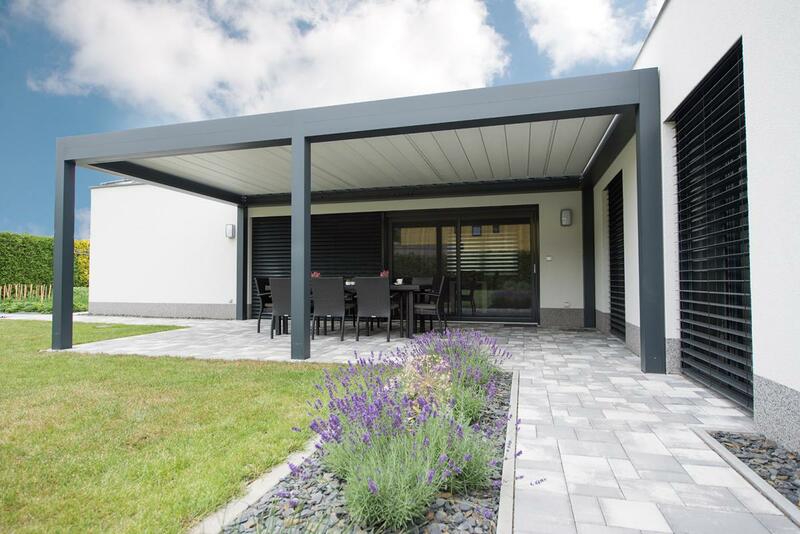 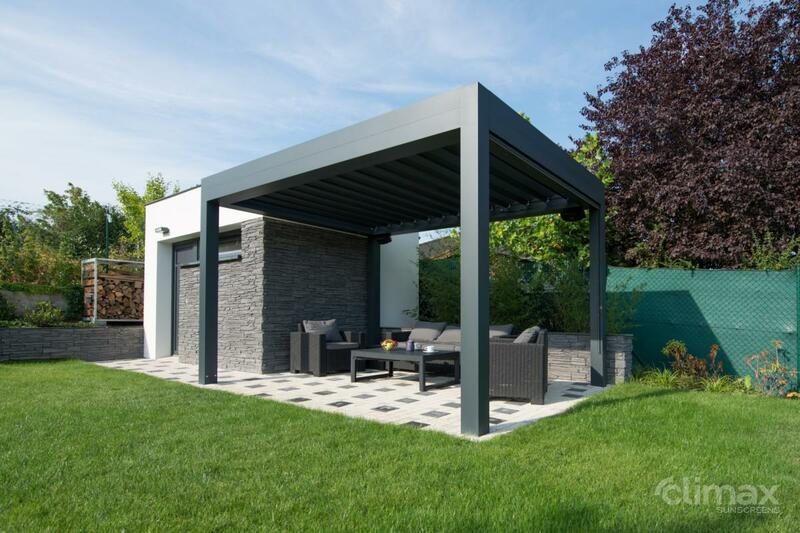 The pergola consists of an all-aluminium construction made of thick-walled profile 150 x 150 mm. 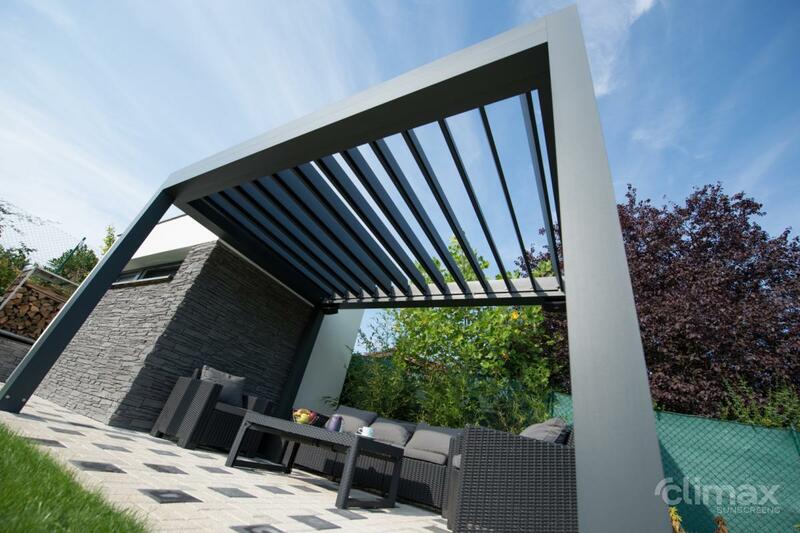 Thanks to the use of high-quality materials and varnish, a maintenance-free pergola with long service life and color consistency is created. 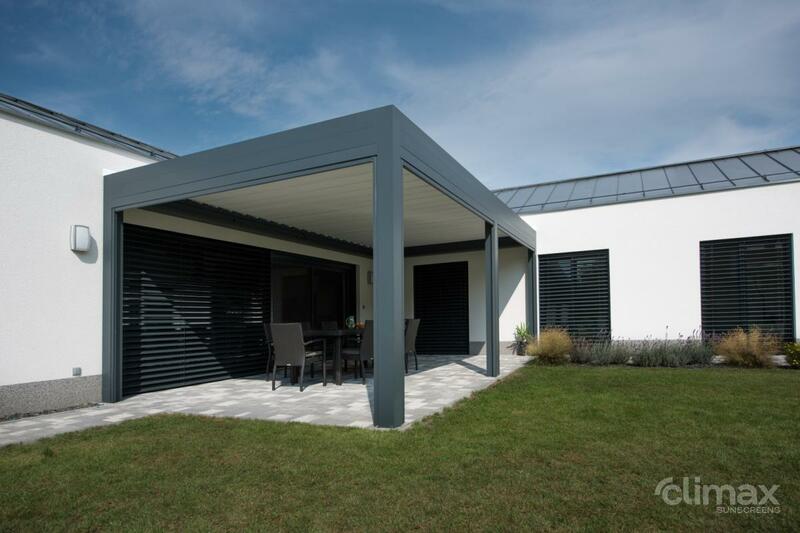 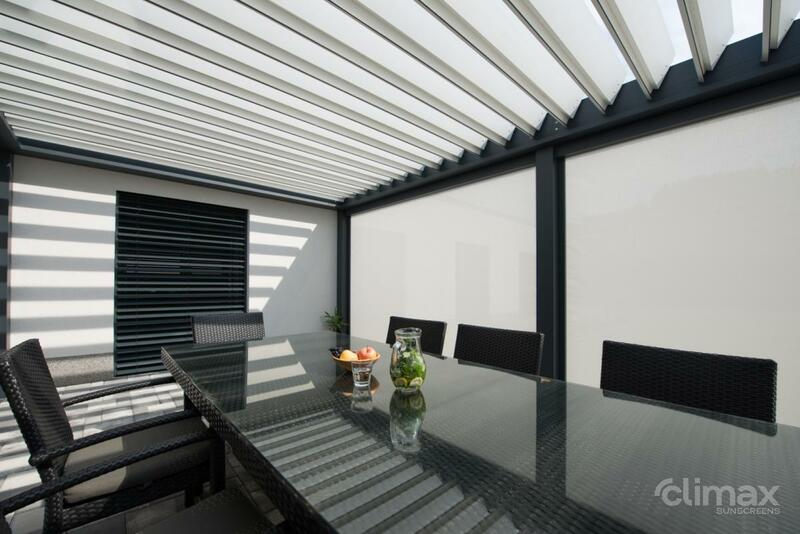 Tilting the slats allows you to regulate the penetrating sun rays and the temperature under the pergola. 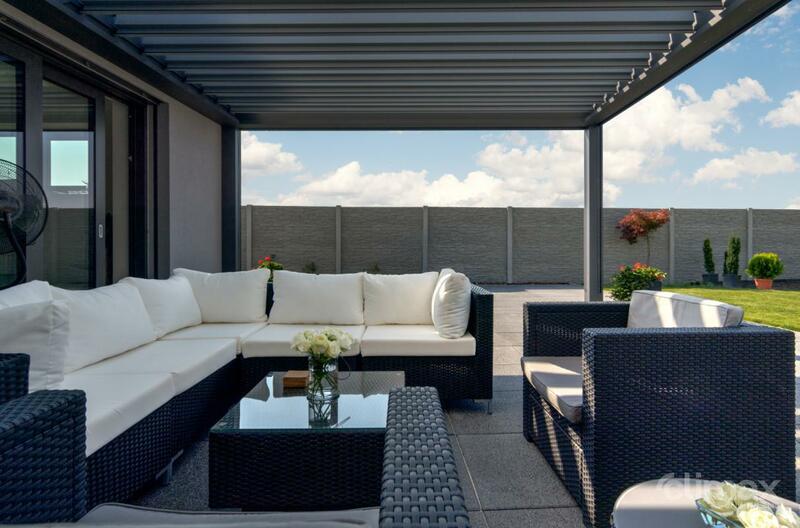 The aluminum slats can be tilted from 0° to 140° using the remote control. 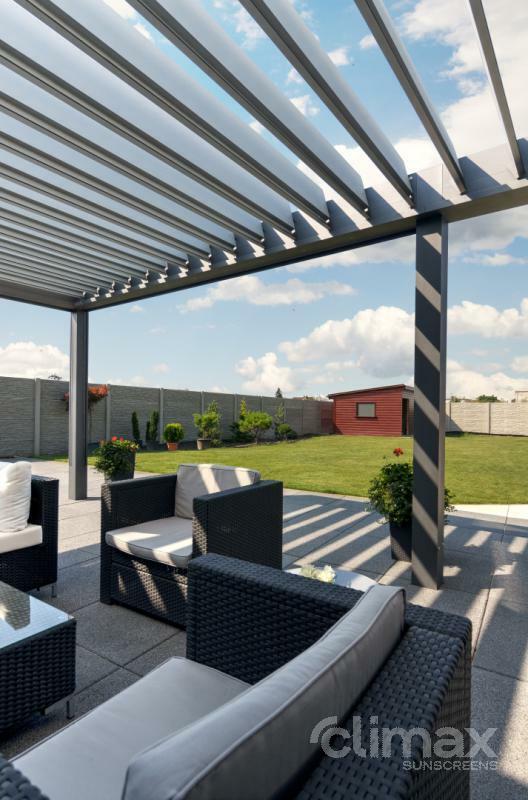 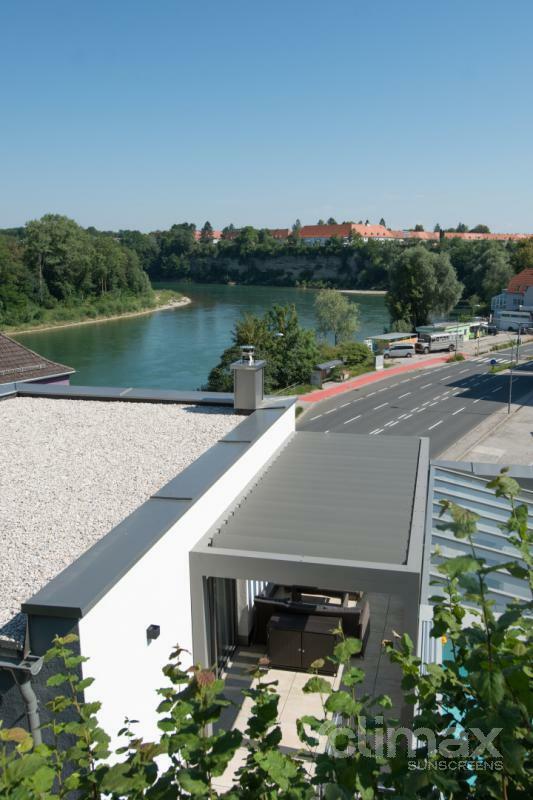 In addition to perfect ventilation and shading effects, this system also provides rain protection when the slats are fully closed. 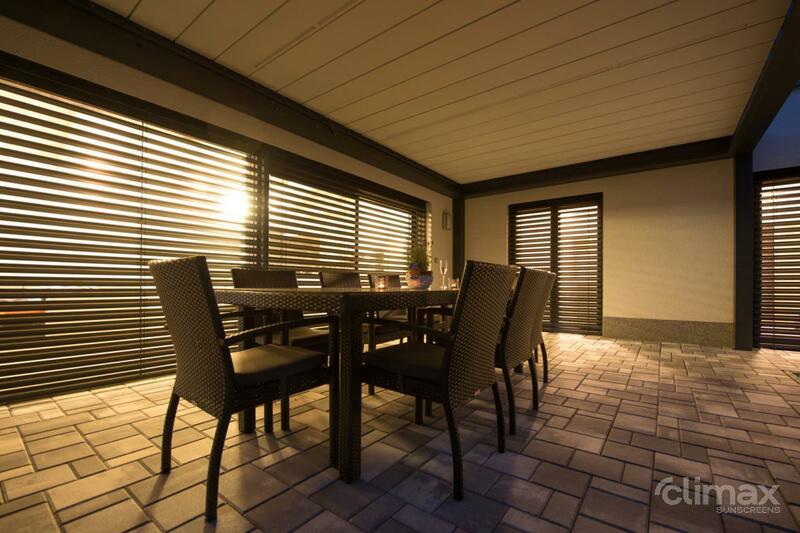 In the rain, all the water is drained by the integrated drainage system to the ground. 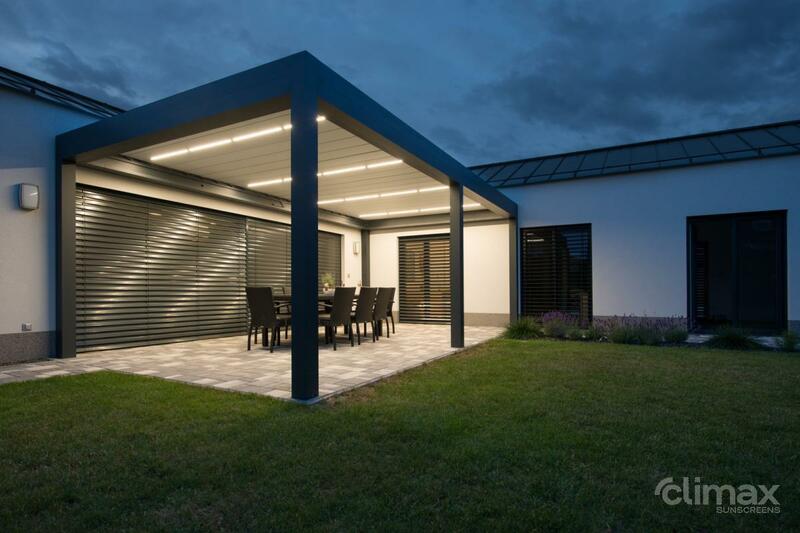 The maximum ground plan of one module field is 6.1 x 4.5 m, the maximum length of the slats is 4.2 m per module. 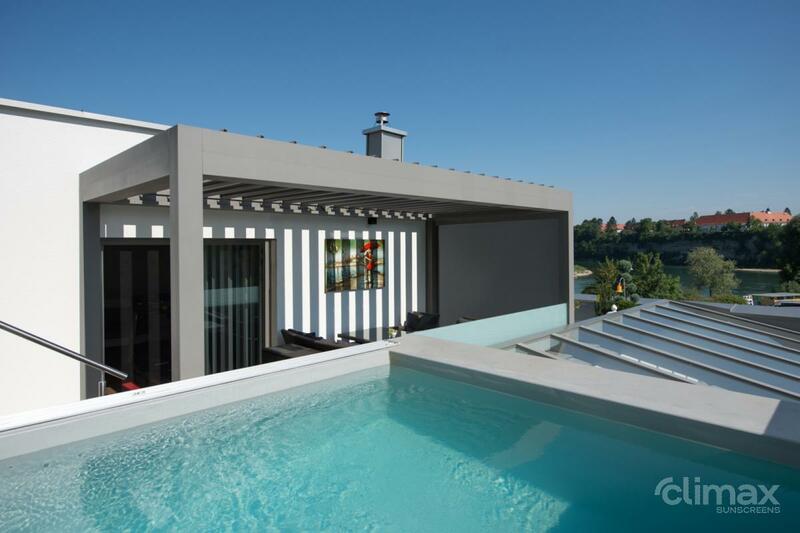 Module fields can be grouped side by side or in series without duplicating common profiles.